Tic Tac Trance #124 Replay available! Do you recognise artist names like 3rd Moon, ATB, M.I.K.E., Hiver and Hammer, Funabashi or Alt+F4? Are you ready for a Trance Classics Mix? 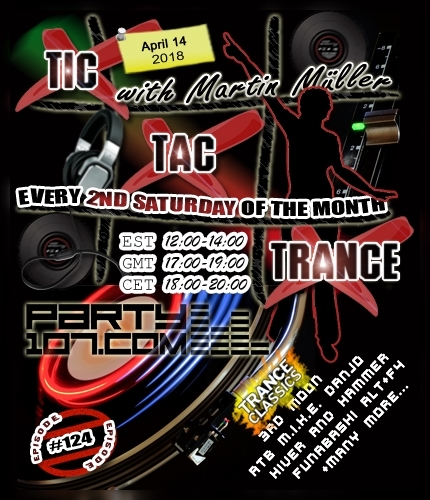 This special Trance Classics Episode #124 of Tic Tac Trance will air on April 14 2018 on Party107.com. You can expect for this show a 2 hours progressive & uplifting underground trance classics mix! Make sure to tune in!